I think it’s mostly due to driving distractions. People are too busy texting or talking on the phone to pay attention. They just don’t see us out there. Every vehicle has the potential to be an Aggressive Vehicle. That’s why am I completely alert and expect every car to do something stupid when I ride. Thanks for the heads up on this book. I believe it’s stuff like this that keeps me from picking up these “how to ride safe” books…. Or what did they call it? Proficient Motorcycling? Yeah OK… good reading here. Oh I am sooo happy to have read this tonight. 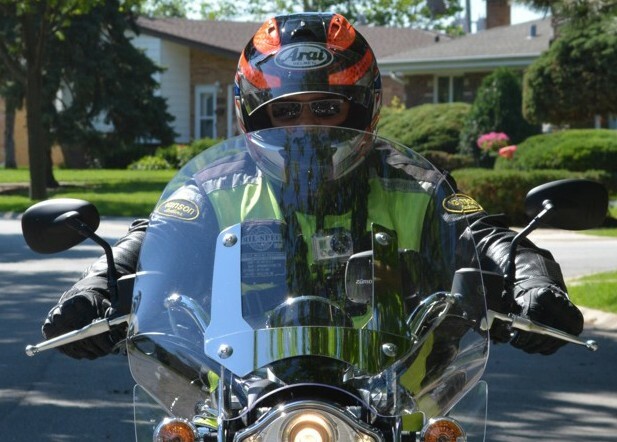 My husband is off on a 7 day jaunt to South Carolina from NY on my motorcycle. This is a huge ride for him to do by himself and yeah, I am doin’ the wifey-worry thing.